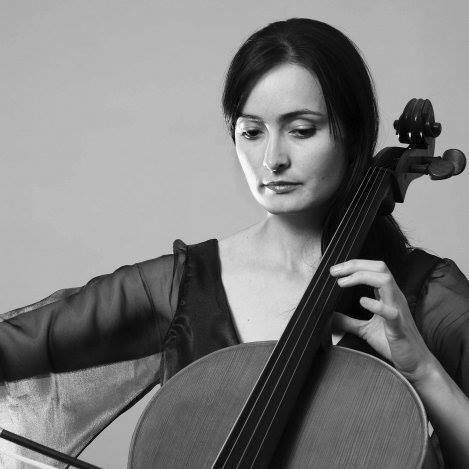 The cellist Miranda Wilson, a student of our much-missed friend Alexander Ivashkin, has written a candid and effective reflection on where the fear comes from, and how to disable it. In my career as a cellist and a professor of cello, I’ve noticed something happening again and again. A performance–my own or someone else’s–is going reasonably well, and then an unexpected mistake changes everything. It might be a wrong note, a badly missed shift, a momentary memory lapse. In the split second after the mistake, things can go two ways. There’s a possibility that you recover, and the rest of the concert goes without incident. But the greater possibility, especially with inexperienced players, is that you withdraw into yourself. Your stance hunches or stiffens as you berate yourself over and over for your mistake. The concert goes on in the present, but you’re stuck in the past, obsessing about what went wrong. As a young double bassist I used to have so much stage fright that I would start shaking to the point where I could no longer perform. Fortunately, when I was 19 years old my greatest teacher (Herman Burkhart) was able to cure me of my fear. He sat me down and convinced me that the audience had come there to be entertained, not to be critical, and that most of the audience wouldn’t have any idea if I made a mistake, anyway. And the few that would know, well – let he/she who is without sin cast the first stone. So, he said, relax and give ’em a great show. It worked. Never again was I frightened on stage. I thought it was a beautifully written article with lots of good information and insight. If you can’t play from love of music, then why play at all? A perfect example why many performers should keep their thoughts to themselves. the love bit which elicits only laughter. What is happening? Once again I agree with Milka – to a certain extent! The metaphor of the two opposing knights where the wounded one strips himself of all his armour and goes up to his implacable foe – just for a chat(???) – is more than ridiculous! The “foe” will always kill him. End of story. On the other hand, stage fright is very real for many performers, although far from all. I have seen one of the world’s great sopranos merrily chatting backstage (seemingly something quite as insignificant given the moment as the price of groceries) and a couple of seconds later striding on stage perfectly in character. I am sure the adrenalin was flowing, but she was just perfectly at home on the stage and loved singing and performing. But I have also met a well-known singer with many performances at the two London and other opera houses and a string of acclaimed recordings. In mid-career he gave up performing, not because he might make a mistake on-stage but because the stage fright in the wings beforehand rendered him almost helpless. He simply felt unable to perform any more. Also horn players in orchestras often suffer from (semi-)stage fright because of the rather unrealiable tone production which is very sensitive to temperature, humidity, lip control. I know of a famous soprano who had to be pushed onto the stage because she was prone to suddenly refuse to appear and sing, preferably 20 seconds before the piece started, orchestra waiting, conductor impatiently behind her. have been how and why did the artist get to that point of fear after a successful run . that approach this problem with understanding . The author has interesting insights on how to respond to mistakes. As a recreational music student, I’ve found that controlling my response to errors has helped me improve. As far as the knights in battle, it didn’t go so well in ‘Raiders of the Lost Ark’ for the guy who opened himself up to Indiana Jones. I had to play Bartok first violin concerto, playing first time with my orchestra as soloist. Hours before the concert realized that it was live broadcast. I was extremely nervous anyway, especially because of the beginning with the solo violin alone, slow, quiet. I still remember it as it would have been yesterday, (was over 30 years ago) there was this huge church full of people, all the mics, and as I started to play I took a deep breath and said to myself: “now we will show how beautiful is this Bartok concerto”. And from this second I was in a different world, I just enjoyed the music. Bravo, now that’s the right attitude! The author and trumpet player Michel Riquier has dedicated most of his career on training to get over stage fright. A healthy mindset, mental preparation of the performance and a correct assimilation of technique. Since I took his courses I gained enormously in confidence on stage. Bye bye betablockers and Hello to a healthy dosis adrenaline. Thank you, Michel! Mr Borstlap mentions horn players being susceptible to (semi ???) stage fright, but mentions three reasons. None of these is anything more than a very small contributory factor. The real reasons why horn players, and I speak as a retired principal horn with over 150 professional recordings and thousands of concerts, broadcasts and telecasts performed, suffer stage fright is much more to do with the exposed nature of their parts in pieces of music, there are no places to hide like rank and file strings have, and whilst woodwind colleagues can easily use a bit of pronounced pitch fluctuation (vibrato if you must) to disguise nervous moments, this is frowned upon in horn players (in U.K., especially, and mostly by other horn players, ironically.